januari 2006 | 180 blz. 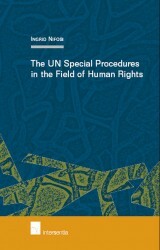 The UN Commission on Human Rights began establishing the Special Procedures in the late 1960s. Since then, the UN mechanisms have developed and become veritable tools of human rights protection and monitoring. This book endeavours to capture the evolution of the human rights activity carried out by the Special Procedures and evaluate their importance and impact.